In 1922, Louis Burchette McFarland finished and self published his Memoirs and Addresses. 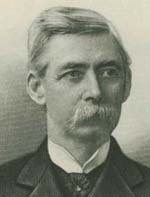 In addition to his memoirs he included some of his addresses given before Civil War Veterans groups and others, photographs, excerpts from his first wife Ellen's Civil War Journal, and lineage information on his McFarland and Douglass Clans. L.B. McFarland was born in Dancyville, Tennessee, the son of Dr. William Felix and Martha Douglas McFarland. He was the grandson of Burchette and Martha McGee Douglas. He entered the Confederate service in Company A, 9th Tennessee Infantry, the Dancyville Grays, formed at Dancyville and mustered in at Jackson, Tennessee. After the War he attended law school, practiced law, served as Judge and was a prominent land owner in Memphis. "Memoirs and Addresses" is a rare publication, available only in a few public locations. Recently CAROLENE ENGLISH of Texas, very generously donated a copy of the book to the Elma Ross Memorial Library at Brownsville, Tennessee. Carolene's reason for donating, in her own words, "I feel the book should go home to Tennessee." Folks researching the McFarland and Douglass surnames may find the lineage information in the book helpful. Others in these lines may only want to see and handle a book written, and dated, by a relative. This book will be non-circulating, available for research, at the Elma Ross Library Genealogy Room. We greatly appreciate the generosity of CAROLENE ENGLISH. She has provided the library and community with a rare publication and hopefully, some of the McFarlands and Douglasses, the opportunity to find one more branch on their family tree. CAROLENE PROVIDED ACCESS TO THE BOOK BEFORE IT WAS SENT TO THE LIBRARY, WE SCANNED SELECTED PORTIONS OF THE BOOK, AND HAVE INCLUDED THEM ON THIS SITE.